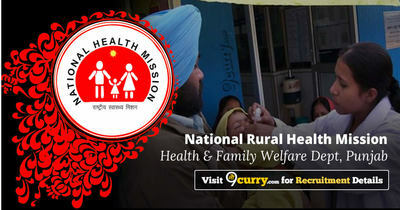 NRHM Punjab Recruitment 2019 - Apply Online for 137 STS & TBHV Posts in Department of Health and Family Welfare, NRHM Punjab, Punjab. Online Applications are invited by National Health Mission, Punjab from 01 Feb 2019 to 18 Feb 2019 for 137 vacancies. 88 1. Bachelor’s Degree from recognized University or Institution. 49 1. Should have passed the 10+2 Examination or its equivalent from a recognized university or institution. 3. Should be registered as Multipurpose Health Worker with the Punjab Nurses Registration Council. Eligible candidates may apply online at NRHM Punjab's website (direct link is given below) from 01 Feb 2019 to 18 Feb 2019. Candidates log on to http://bfuhs.ac.in/onlinerecruitments/main.aspx.